Yes, it’s been a while – and mainly because different priorities have popped up in my life. But apparently, this blog was just mentioned at a conference (Reinventing University Publishing: https://universitypublishingsymposium.wordpress.com). 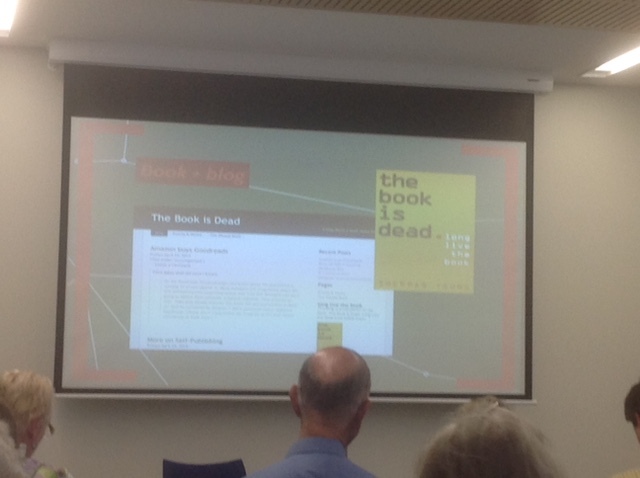 This blog is a companion to my book, The Book is Dead, Long Live the Book from UNSW Press. You can download chapter 1 of the book as a pdf file here. Or you can get the p-book here! Or at amazon. As for me, I'm Sherman Young - and I'm a Media Studies lecturer at Macquarie University in Sydney, Australia.